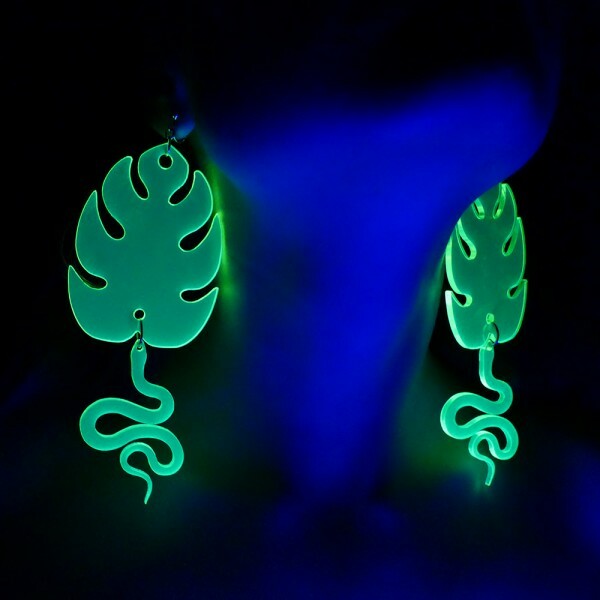 Snake is the most mysterious and spiritual being and represents FEMININE power. 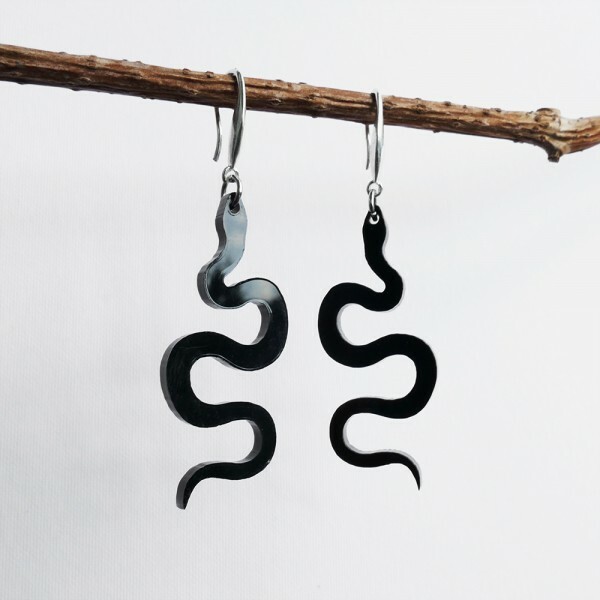 Charm your inner snake and become who you want to be. 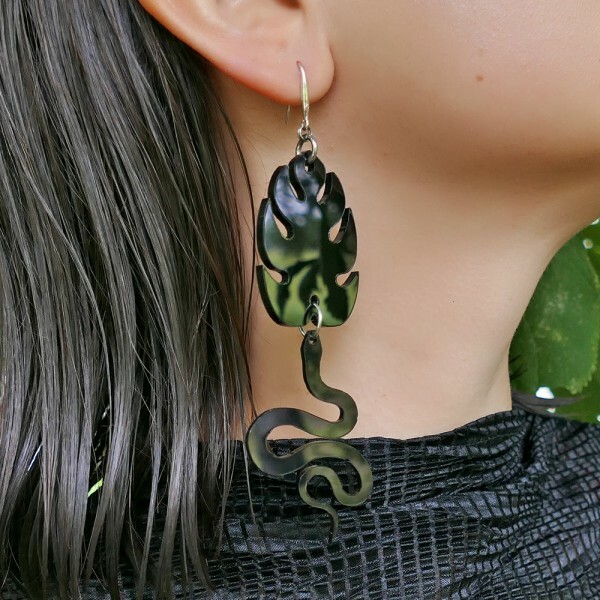 Snake Charmer earrings, made of upcycled acrylic, represent You, charming your inner snake. 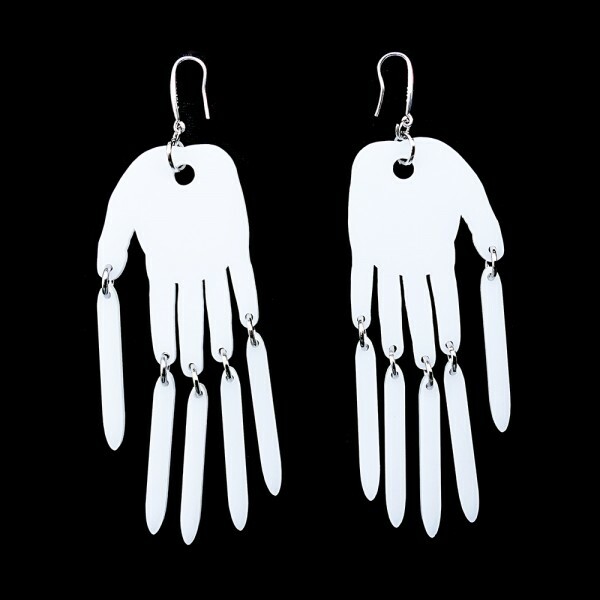 These earrings are a truly statement piece, manifesting the statement lifestyle. 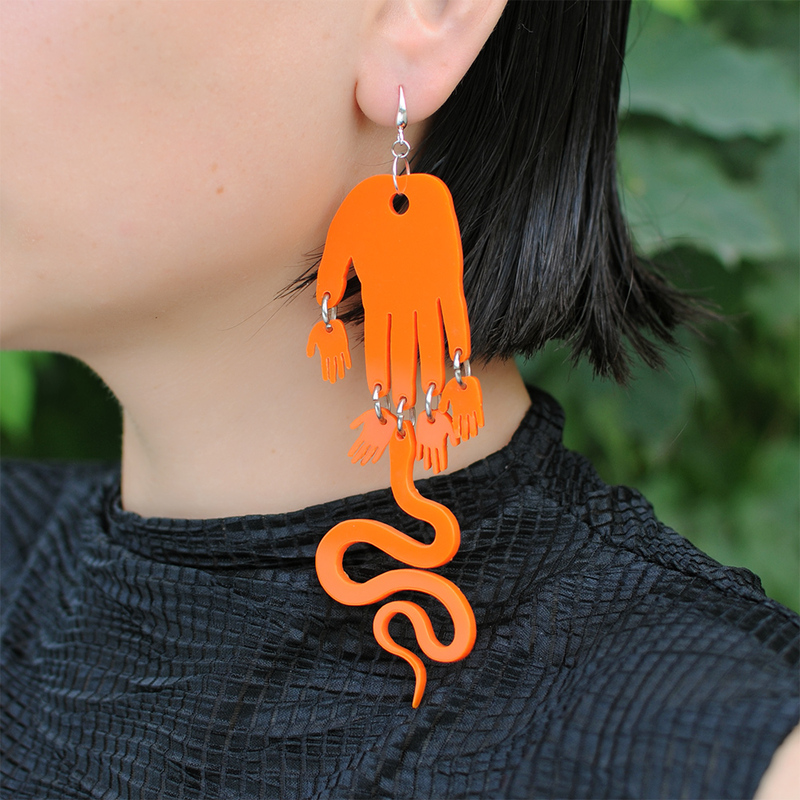 Snake symbolism is very powerful in almost all cultures where snake embodies Feminine Power. 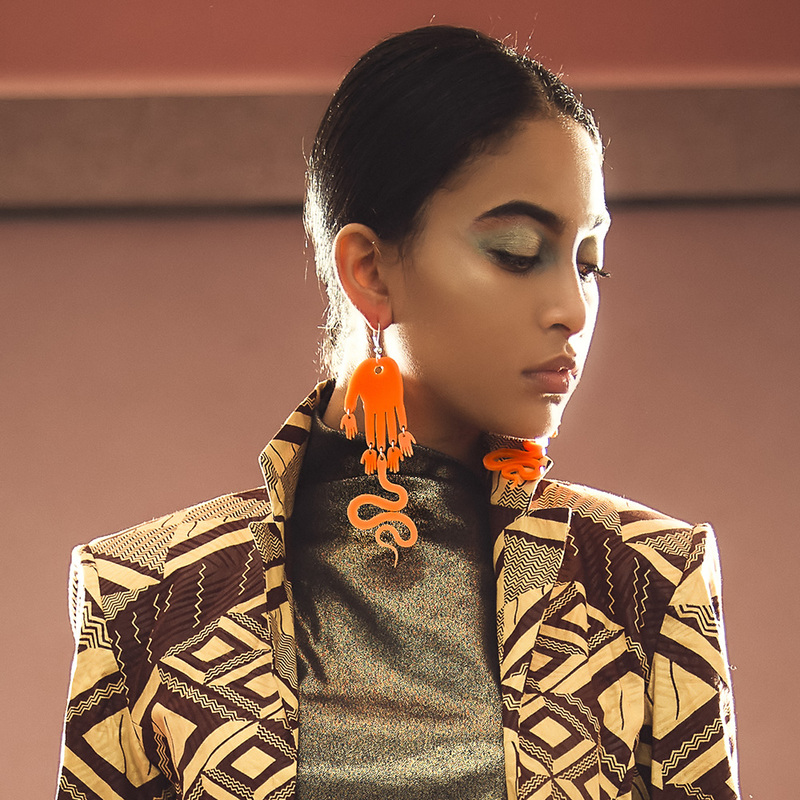 A woman with awoke Feminine Power (snake) is the one who is freely using her will and creativity for transformation and growth. Your inner snake helps You to create those things that can’t be controlled: true love, intimacy, the ambience and your life here and now. 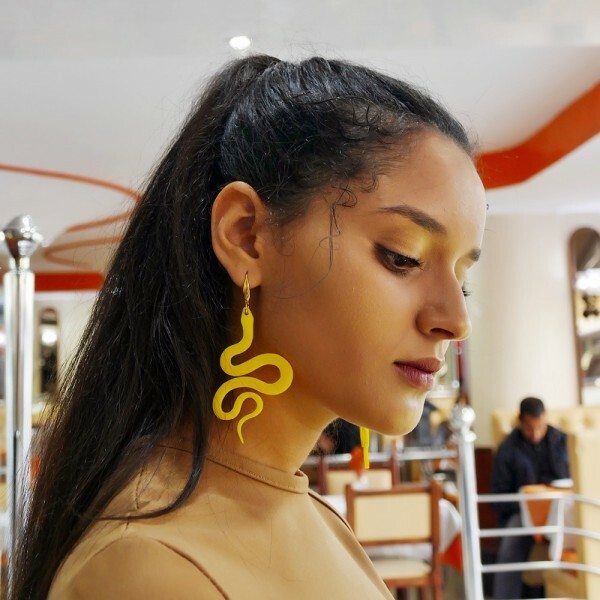 We created these fascinating Snake Charmer earrings, where the snake is your power and many hands are to charm, to mesmerize her. 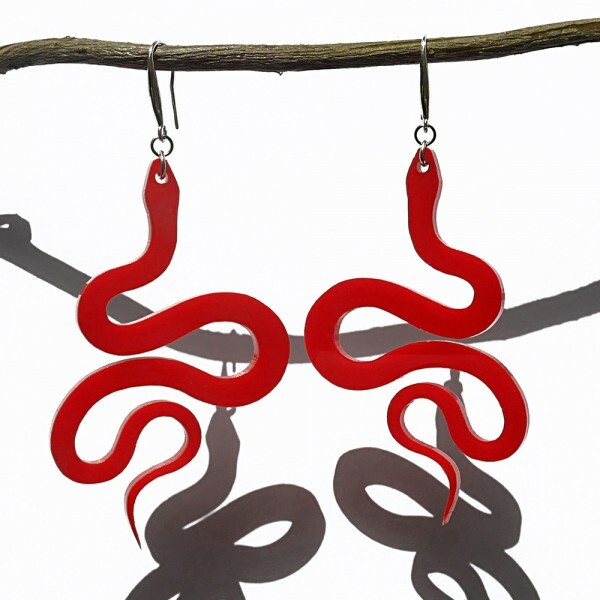 You charm your snake lovingly, playfully; this is how you treat yourself, with great care and tenderness. Never be harsh and strict with your snake, or she will crawl away back to the jungle bushes. 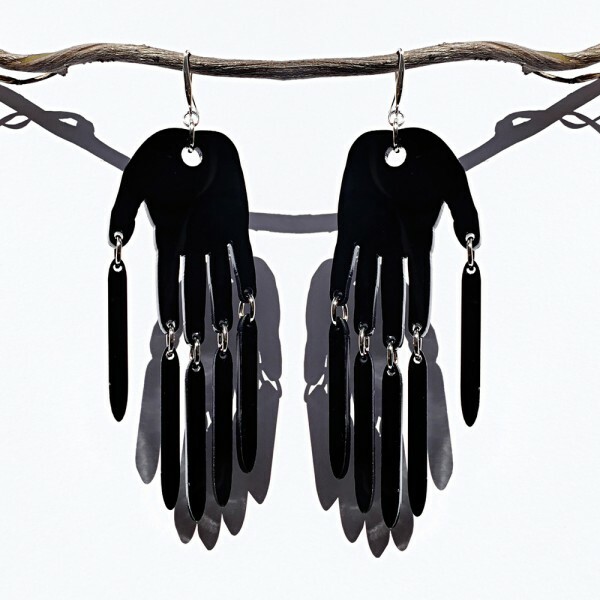 Embelish Your precious ears with these oversize, but very lightweight earrings, expand Your POWER. 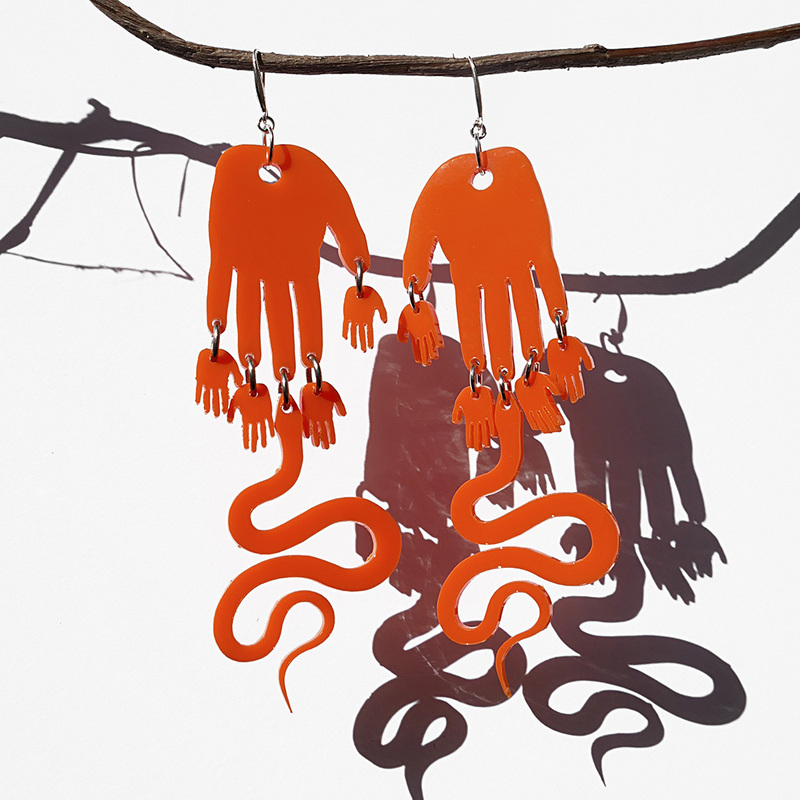 Snake Charmer earrings come in a happy orange colour – contact us if You want them in any other colour, we will see if we can fulfill that, as all our earrings are made of upcycled acrylic, and sometimes we are restricted to certain colours.